In two previous articles, (one / two) we have assessed social drinking from a secular perspective. We tried to show that consumption of alcoholic beverages carries certain risks to the imbiber as well as to his family, friends, and even those people he does not know but who happen to cross his path. All of these risks are viewed in the light of the unnecessary, voluntary place of alcohol in life. 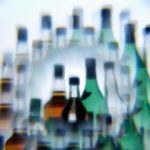 In this article, we will examine numerous Biblical passages which speak to alcohol consumption. 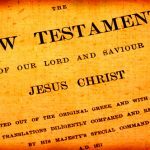 The reader should understand that there is no “thou shalt not drink” passage found in Scripture. There are, however, many passages that teach a principle of abstinence. These are the teachings we will address. Observe that while Paul specifically classifies drunkenness as sin, he also condemns many behaviors that often arise from intoxication like fits of anger and orgies. He further expands his list with the phrase, “things like these.” A happy drunk or a fighting drunk both sin by their drunkenness and by their alcohol influenced actions. Paul echoes the same thought in Romans 13:13, 1 Corinthians 5:11, 1 Corinthians 6:10 and Ephesians 5:18. Without a doubt, drunkenness is condemned by the Holy Spirit. Some like to walk a line between drunk and sober. They enjoy alcohol and the social environments where alcohol is served. What says the Bible? Proverbs 20:1 divides drinking into two types, wine, and strong drink. He says “Wine is a mocker, strong drink is a brawler, and whoever is led astray by it is not wise.” Shortly he adds, “Do not look at the wine when it is red, when it sparkles in the cup and goes down smoothly. In the end, it bites like a serpent and stings like an adder” (Proverbs 23:31, 32). He seems to have in view the progressive nature of alcoholic consumption, the movement from first drink until crossing that undefined line into drunkenness. The Christian is better off without any alcohol. 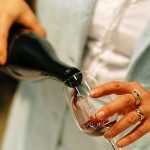 Consider Proverbs 31:4, 5, “…its is not for kings to drink wine, or for rulers to take strong drink lest they drink and forget what has been decreed and perverts the right of the afflicted.” God himself prohibited Aaron and the priests from drinking while serving in the Tabernacle (Leviticus 10:9). In assessing a man for the position of elder the Scriptures warn that he must not be known as one who lingers over the wine. His reputation is enhanced by abstinence. A reader might quickly assert that these passages are offered for kings, priests, and elders. That is true. But it is also true that this high quality of life should be sought by all Christians. Shouldn’t all Christians seek to rise to the qualities of an elder? Why not? 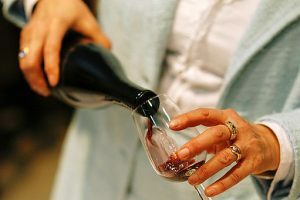 Given all of the reasons in these three articles against alcoholic beverages, and given that consuming so-called adult beverages is never required and completely unnecessary, and noting the Bible condemnation of drunkenness and even the dangers of light drinking, does it not lead to the conclusion that the Christian should avoid alcohol? Seek purity and godliness and separate yourself from the traits of the world.